Summer is in full swing and that means it’s the perfect time to get together with friends and family for a BBQ. While it’s perfectly fine to have fun, there are always potential hazards when dealing with fire. Don’t leave your grill unattended. Grills should only be used outside. 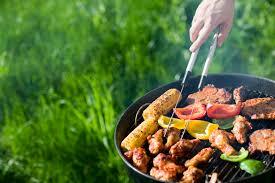 Keep your grill AT LEAST 10 feet away from your town home or apartment. Never leave your gas grill lid closed while lighting the stove. Keep fire extinguisher or bucket of water nearby.